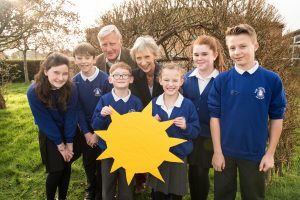 Your Energy Sussex is helping local schools to reduce their energy bills and cut their carbon emissions by fitting solar panels that generate clean electricity. The schools pay a significantly reduced price for the electricity generated by the solar panels compared to the price they would usually pay for grid electricity. Most schools use around 75% of the electricity they generate on site and, on average, will save an estimated £1,000 per year off their energy bills. Your Energy Sussex pays the cost of installing the solar panels and owns and maintains the systems. This means that the schools have nothing to pay up-front. A rolling solar installation programme will have completed more than 70 schools in 2019. Your Energy Sussex is also exploring the use of on-site batteries at schools to store surplus clean electricity and feed it into the grid when it is needed.